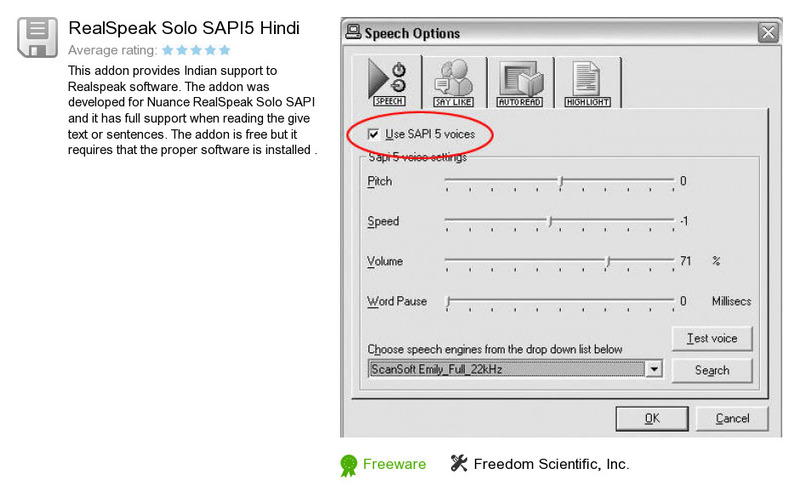 RealSpeak Solo SAPI5 Hindi is a program developed by Freedom Scientific, Inc.. We know of version 1.0. Version 1.0.84.101 is downloadable at our site. RealSpeak Solo SAPI5 Hindi installation file has a size of 108,448,826 bytes. Freedom Scientific, Inc. also publishes RealSpeak Solo Direct Virginie and RealSpeak Solo Direct Diego.